LetsGoPens.com • View topic - So which one would you rather play? So which one would you rather play? Between the Isles and Senators right? Which one is a better matchup? Re: So which one would you rather play? At this point, it doesn't matter. They'll play who they play. I hate the Islanders with a vengeance and would prefer to not watch them play (anyone). However, they have made the playoffs and I would enjoy an OTT series a lot more....which doesn't really answer your question. i want to see neil and alfie pout in the handshake line. and the cooke thing, it wouldnt get any better than him eliminating them by scoring in OT. Last edited by Kaizer on Sat Apr 27, 2013 11:13 pm, edited 1 time in total. Can't decide. Hopefully I can become convinced one way or the other so I can watch tomorrow's game with a rooting interest. We've played OTT so much over the past few playoffs. Would be nice to play somebody different but maybe the NYI are the better team....? it doesnt have to just be, "whos easier to beat". i always want the flyers and any recent teams with a feud. Pens haven't had a team like this since 1993. No better way to exercise the demons than to knock off the Islanders. Also, the biggest chance the Pens have of getting upset will be if a goalie stands on his head and juggles pucks with his toes. Craig Anderson is the hottest goalie in the East, so he's got the best shot at being that guy. But it doesn't really matter right now, the analyses can begin tomorrow after the game. Hmmm... The team with one regulation loss in the last 10 vs. a slumping team that will be distracted by Matt Cooke the whole series. Tough decision. pcm wrote: Pens haven't had a team like this since 1993. No better way to exercise the demons than to knock off the Islanders. The demons could use some exercise, getting a bit fat. Islanders. Always rather play the team with weaker goaltending. Looking at their schedule, the Isle beat up on the teams missing the playoffs, and struggled against playoff teams. They've gotten by on timely offense. Their defense is soff. Karlsson coming back makes Ottawa a little stronger. Concerned they would go after Sid intentionally because of the Cooke thing. We would still take them but I think NYI would be a bit easier. Our top lines would shred them. Ottawa. I agree with what one of the commentators said on NHL radio. The Isles have a very strong power play, and our PK is our weakness. Ottawa gets by on great D and goaltending, but doesn't score much. We have too much firepower to be shut down completely, and Ottawa can't score enough to beat us over 7 games. 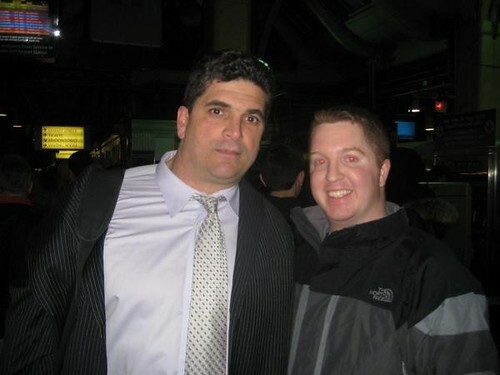 Good lord, what did Kevin Stevens eat? the entire buffet? ottawa has no scoring depth at all. anyone saying the isles haven't paid attention over the past month or so. anderson has been horrible since coming back from injury. We will crush the Isles like lambs to the slaughter if it comes to that. Anybody else we face at least has a fighting chance I think. the isles in some ways remind me of a young pens team that doesn't know any better with a legit top 5 player in the league. the sens have been horrible down the stretch losing must win games backing into the playoffs.